Sunrisers Hyderabad will take on Delhi Capitals in the 30th Indian Premier League match of the season in Hyderabad on Sunday. Delhi Capitals are up on confidence as they are riding the momentum off two back-to-back wins against Royal Challengers Bangalore and Kolkata Knight Riders in their previous outings. Delhi are placed fourth in the points table with eight points from seven matches. The Sunrisers, who were riding high in the beginning of the tournament, will look to get back to their winning ways after suffering losses in the previous matches against Mumbai Indians and Kings XI Punjab. The Hyderabad team had defeated Delhi Capitals when they clashed last time at Feroz Shah Kotla. Time: The DC vs SRH match will begin at 8 pm IST. 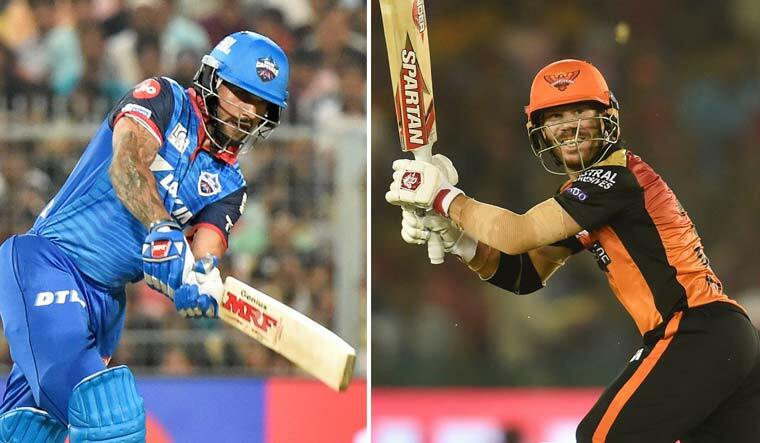 Live broadcast: The IPL match between Delhi Capitals and Sunrisers Hyderabad will be broadcast on the Star Sports Network. Online streaming: The DC vs SRH match will also be live streamed on Hotstar.